schoolpostz jamb student Must See: Check Out 2018 Joint Admissions and Matriculation Board (JAMB) Mock Exam Venue, Date & Printing Of Photo Card. 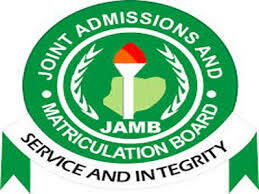 Must See: Check Out 2018 Joint Admissions and Matriculation Board (JAMB) Mock Exam Venue, Date & Printing Of Photo Card. JAMB had promised to conduct the 2018 UTME Mock Exam on the 1st Week of February. In fact, it was earlier scheduled to hold between January 22nd and 24th. Here we are; it’s the first week of February! We’re just as eager to know the exact official date for the JAMB Mock for the 2018 UTME, just as every other JAMB Candidate. For those of you who would be privileged to write the Mock Exam for 2018 UTME, please don’t take this test for granted. Prepare and write it like it were the real exam. As a matter of fact, all JAMB Candidates should start preparing for the 2018 UTME. Exam is in March! The photo card printing for the Mock Exam is yet to begin. The commencement date will be made known in the coming days, when the official dates, for the exam, are announced. Candidates who selected to write the Mock Exam will be expected to print the photo card before the actual exam date. You will be duly persuaded here on schoolpostz , so keep rocking this website every day.